The last two evenings have seen the PM and the head of the Great Barrier Reef Foundation trying to justify/sell Turbull’s captain’s call on 7:30 report. First up was Malcolm looking distinctly uncomfortable – so uncomfortable that he forgot Tony Burke’s name as he lamely, and so excruciatingly predictably, tried to blame Labor. Malcolm is trying to suggest that, because the Budget Appropriations Bill passed (as it always does), that the grant had been considered and approved, not only by the cabinet, but by the parliament which is, of course, rubbish. It appears it was not specifically discussed at all before the offer was made. Sure, there may have been funds committed to the reef, but that does not imply approval to give it all immediately to a small charity who also get to keep the interest they earn over the next six years. Righto then. The decision was not based on any comparative appraisal by the Environment Department. And how could it be? The charity has no idea yet what they are going to do with the money except hire a shitload more people. Malcolm was so clutching at straws that he reached for the security blankie of blaming Labor. Quelle surprise. “The 2014 GBR Outlook Report concludes that climate change, poor water quality from land-based run off, impacts from coastal development and some remaining impacts of fishing are the major threats to the property’s future health. As a result of these cumulative impacts, further exacerbated by recent major storms and floods that are expected to become more frequent, key habitats, species and ecosystem processes in the central and southern inshore areas have deteriorated. Yup, we sure make a nice glossy brochure. Or else Malcolm can just sling it to some corporate mates. Speaking of which, a very articulate and sincere Anna Marsden, managing director of the Great Barrier Reef Foundation, appeared the next night to reassure us that climate change was the greatest threat to the reef. When asked what would happen if required policy/action was in conflict with corporate sponsors’ businesses, she was not quite as convincing in her denial of any conflict of interest, saying that they had no say in project choice or design and were committed to saving the Reef. Excuse my scepticism when I ask how committed the fossil fuel companies who have actively funded climate change denial really are. It all sounds like a PR cover to me. When asked about Labor figures questioning their fund-raising past and suggesting much of the money would be wasted on administration, Ms Marsden earnestly promised that 90% of the funds would go to reef projects. Even if that is true, they are skimming off $44 million (plus 10% of any donations presumably) to be middlemen. Why not have the Department of Agriculture administer the funds and deal with those bodies directly? Why do we need the GBRF? Ms Marsden tells us they are great at fund-raising. Well I know a way we can raise $44 million without having to host any dinners or give out any free holidays. As has been noted elsewhere, this is effectively privatising the oversight and regeneration of the Great Barrier Reef, even the CSIRO will have to go to the Great Barrier Reef Foundation for funding. ‘Not at all comfortable with this ! Suggest people return to the “Has Australia become a nation of crooks” posting from Ad Astra and consider the comment included from Craig L near the end involving who is actually running this little foundation that Turnbull is so infatuated with. This stuff stinks so bad I feel nauseous. The whole thing is bizarre. Why hand over all of the money up front? Every other body has funds doled out over the coming years. But, so blatant and so ideological also. 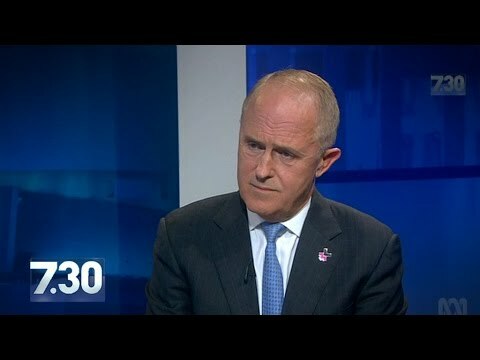 No, I am starting to think Turnbull is even a bigger nutter than Abbott. Take for example with his “Efficiency Dividend ” neolib nonsenses re ABC funding cuts the other week. Other stuff also that I can’t quite nail down without digging back into the archives of the past also. In fact, how is it he can ruin the ABC or persecute people on the dole yet in cavalier manner hand over half a $billion to some sort of shop front run by his merchant banker mate? Time to GET RID OF the Gordon Gretch man! Nothing he can say, nothing, excuses the fact they’ve given half a billion of our dollars to a bunch of environmental vandal execs who purport to care about the Reef. What exactly have they done/achieved to help the reef since the Foundation was set up? Other than pretend to care about the Reef? Nothing? That’d be right. Reading the GBRF Annual Report for 2017, may give some insight into why they were chosen. It sounds like there is not going to be a fuss made about climate change and we are going to paint a rosy picture to keep the tourists coming. No need to reduce our emissions. The reef will ‘adapt’ or we’ll just build a new one. “There was unanimous support… that the flagship project for the Foundation for the next decade will centre around Reef Restoration and Adaptation. The goal is simple: to rebuild the reefs we have lost and to build them stronger in the process. Where’s the White board.? NeoLabour, must have the whiteboard that neoliberal uses.! Why is it, that our leaders deem it necessary, to not just spend money, that could be better used, but waste it, in spectacular fashion.? The only other thing I pondered was that Turnbull is so powerless over the anti-enviro Right of the LNP that he has had to fund surreptitiously reef remedial work without having an increase in funding being seen as a criticism of right-wing anti-enviro/denialist policy. As for that citation, the last sentence sums it perfectly. So nothing real gets done, yet the publicity is honey-sweet when they should be being indicted for crankery, vandalism and in the PM’s case, gormlessness? Kaye, Malcolm Turnbull is today what he was yesterday and will be tomorrow, an oppositionist who has the incredible talent to spot an opportunistic gig, embark demand stewardship than disembark just before he drives it over the cliff. He’s made a career best without fail out of it. However, here’s the rub he has this ability to melodiously string together absolute meaningless sentences/words, that sounds impressive (operative word sound), MSM caves and go gaga he’s arrived so smart, such brilliance unable to hear beyond the sound. Take his, (15/9/015) “The Australia of the future, has to be a nation that is agile, that is innovative that is creative. We can’t be defensive, we can’t future proof ourselves”, sounded bloody impressive, no idea what it meant and absolutely meaningless but MSM went all gaga, the verbose messiah MK11 (MK1 was a bit of a disaster) has arrived. If only they unpacked what the loquacious PM said they would have realised he really had no idea totally bereft of one and had the temerity in the same breath “if an idea does not work steal/plagiarise one…” as drove/drives 21st century Australia over the cliff, NBN FTTP, Climate Change, price on carbon, Gonski MK1, NDIS, etc etc. Jeeeez he’s even incapable of plagiarising an idea effectively. One of my favourite stories about Turnbull shows how he works. Use connections to make money, that’s what it is all about. He can’t suddenly stop a lifetime modus operandi. And they carry on about Bill Shorten’s “shady” past as a union leader. Hah! Look at unions so you won’t look at us. They are pursuing the AWU for donating $100,000 to GetUp! and wanting to see the paperwork of how it was approved including minutes of meetings. Well I would like to see the same thing for how this gift of OUR money came about. Smells a lot like vote buying to me. How much of the GBRF money is destined finally for the election funds of the Liarbral Party? at a big business front? Make it look like we are doing something for the reef. You can then transfer a bit of dosh around and send a nice proportion back to the coalition via donations to our reelection. Now there’s a win win, wink wink. New England Cocky, probably the 40k a day interest they’ll make from Trembles present. When all is said and done I think (don’t quote me however) the $444meg will have to be returned. And anyway, it’s all a certain party’s fault that Turncoat had to give them the money in the first place. Love your work Kaye, and Jennifer Demas provides timely reminders. Perhaps we should simply abolish all statutory authorities and NGOs and hand over the administrative oversight of public monies to The Business Council, the IPA, the big four banks and The Minerals Council. While we’re at it we can privatize the CSIRO as we did the CSL (Commonwealth Serum Laboratories) in 1994. Then the major parties can acknowledging the emergent reality of their brutal corpocracy by removing the word Commonwealth from the Constitution and all official documentation. Is it time for a new website or column: “ABSURD”: where people could cite examples of the mad absurdities that characterize contemporary life? Let’s recognize the the Brute Utopia! Kaye, having just read the piece on the loquacious Turnbull reinforces “You can out distance that which is running after you but not what is running inside you”, (Rwandan Proverb), McClleland nailed it in one “his on the make” and an opportunist, look for the most powerful or influential person piggy back for the ride and than do the smooch to the nth degree. As said earlier, Turnbull has this amazing talent to spot an opportunistic be it gig, person whatever, sound impressive for those round him and than demand the free ride. He was, is and always be a bully and perfected that skill to brow beat, be it media, personal etc. and nobody had the fortitude to say so far and no further even to this day they’re still brow beaten. Pity the Princelings, as they were known than could take him to task when he snookered them with OneTel. Phil, this was than, “The government, which was designed for the people, has got into the hands of bosses and their employers, the special interests. An invisible empire has been set up above the forms of democracy”, (USA, President Woodrow Wilson), wonder what he would make of the situation today, the rich got richer poor poorer the trickle morphed into a slow seep, soon to be just a stain. If not for the ACTU Australia would have given the USA a run for it’s money in economics of trickle down on high octane steroids, once again, USA President, Teddy Rooseveldt, “It is essential that there should be organisation of labour. This is an era of organisation of capital and therefore labour must organise” by the time the USA punter had a wtf happened way way way too late and the rest is history. It’s imperative that Australia say so far and no further, if not for us how about for future generations, MSM will not for they’re at behest of the media tsar and corporate union. Watch the Tsar hoover up the sporting fraternity (with 30million from tax payer) to herd the punters into the pen so that he can tell corporate union, I have them all penned in, stuff every orifice with our view of the world and you can than stuff them with your dodgy stuff. Federal ICAC please, NOW. We are as corrupt as any despotic state anywhere- oh for the will power of the French, the Hungarians, the Czechs, any of the 68er movements… Trouble is the corporations and media feed us with soma ie sports, commercial TV, or constant, banal music- remember the Proles humming as they hang up their washing in ‘1984’? Oh the brazen lies of our PM. And many others. Turnbull is behaving a bit like Trump, but without the bravado. Both are running their countries like CEOs, not leaders – answerable to no-one, defiant to the end and justified by their respective egos. Turnbull lost his position as Opposition Leader because he arrogantly ignored all advice (as well as his coalition allies) and used typically poor judgement. I wonder who else in his Cabinet will sign up as supporters of this handout? Unbeknownst to the punter they were systematically disenfranchised from the political and economic sphere (just to be herded to the ballot box at election time) and they made an art form of what Australia need or not including politics of personality (popularity or from the gutter down to the sewerage farm), by the media tsar and corporate union. We were led to believe and trusted, albeit mistakenly, the so called “experts” opines of media tsar and corporate union to violin/bull horn/cattle prod Australia’s politics. Aeons ago Pericles, “Just because you do not take an interest in politics doesn’t mean politics wont take an interest in you” all politics was, is and will be personal, universal healthcare education, dignity in retirement, shopfloor etc. and what kind of Australia we bequeath future generations. As said earlier, if not for organised labour, we would have been snookered by the Tsar and corporate union long before now, just as they snookered Australia out of any semblance of 21st century and as they keep coming after all those 20th century hard fought gains that hold us together as a fair and equal society and will not stop until the trickle is morphed into a slow seep and as the Tsar has this strangle hold on media outlets, it will be very difficult for the punter to break free from their bull horn/cattle prod. The only recourse, social media and the likes of AIM etc. $440 million was taken from Early Childhood Development in the last budget. Figure that out. Not sure about that John. Jennifer, it has been ugly to watch the deterioration of Australia since the nineteen eighties. The little country that went to sleep, or was that just the people? Of course, it is more complex than that. You have to factor in local oligarchs like Kerry Packer and Rupert Murdoch (no Rupert, your obligations didn’t vanish just because you fled overseas) and increasingly with globalisation, the big money and big power offshore. Australia is like the Gingerbread Man. He outran them for as long as possible, but the fox outsmarted the gingerbread man when said confection got complacent, one bite, the leg went, next bite the arms and so on. Glad I saw the best years, but depresses me no end the death of humanity and creativity, community and real living. Hope the kids are smart enough to run their race. People can wring their hands in anguish and hypothesise until the cows come home but the unavoidable truth that stares very Australian in the face is this: The LNP is irredeemably corrupt and it has to go. Amazing what you can stumble across on the internet. Dinkum, never heard of it before. The live FB feed from the Drum was unaccountably “out” tonight, at least for me, so it took a while to watch the promised panel on it and apart from Mara Bun and once in while Fanning, none of them had any idea, while the usual IPA type just said what a wonderful thing it was. Clearly tho, the process has been opaque and edges out those most competent to spend half a billion dollars on the designated purpose. The excerpt on Husar was as unhelpful and the ALP bloke on impressed me like a wet dishcloth. Yep a Federal ICAC or National Integrity Commission (with legal teeth) seems like a good idea. Presumably it would look at how certain politicians gained pre-selections? What deals were done? Promises made? Kimberley Kitching and Emma Husar might be good starting points? Now there is a legal debate about whether it was a grant or a procurement. A grant is given to someone to help them do what they want whereas a procurement is when you give money to someone to do what you want. It is obvious this should be classed as a procurement in which case it must go to tender by the government’s own rules. Even if it was appropriately considered a grant, EJA argued the Government had not properly administered it. “On the evidence available to us, it appears the decision … was not impartial, not appropriately documented nor reported, and is certainly not publicly defensible,” the EJA senate submission said. In answer to that, Turnbull and Frydenberg keep saying there is a 100 page document about governance etc. What they are avoiding is the proper process necessary to grant it in the first place, not what paperwork you come up with afterwards. Yep, last para. The thing is rotten. They wouldn’t mention that Turnbull’s mate from Goldman Sachs is running it, as Craig L suggests earlier. It was said on 730 or the Drum, forget which, it would take ages for it to get pushed through. Presumably, so the public can be conditioned to accepting it but it looks like the setting up of a defensive network for bosses, paid for by us. Geez, Kaye Lee, what is wrong with name/Email Login… “memory” is not working which makes it tiresome to write the same thing over and over to every comment. If you don’t want us here, just say so. Sorry paul, wish I could help but that is way outside my purview. Michael is the one to ask about that stuff. I didn’t even know it was happening, Paul. Nobody has brought it to our attention. OK, I’ll get it looked at. First though, can someone email me with the exact details of what is happening? I can then send it on to the site developer. It’s not happening to me, hence my ignorance. The process of allocating the neck end of half a billion dollars stinks to high heaven. It is the exact opposite of transparent and smacks of cronyism especially when you take note of the fact that the Foundation’s CEO is married to the guy who used to be Campbell Newman’s Chief of Staff. Many years ago, I did some work for the Scottish Government on how it financed the voluntary environmental sector (through grants with a maximum – as I remember it – of about $100,000) and the associated processes. This process would not have even got to first base. If not corrupt by the legal definition, it doesn’t pass any sort of pub test and, as a former expert in public administration, I’d label it as a classic in how not to do things. Is it just me or is Australia on the most dangerous down slide into one of the most hidden corrupt government systems and politicians in the world. Voters and Good decent Australians just keeping going back for more of these clowns ability to lie themselves into politics – Abbott total waste of space and completely brainless, Turnbull most corrupt Jew-loving PM ever and giving out $444M with no due open process is corruption at its core – why isn’t he being sacked ? Is he so blind that Australians can’t see through the fact he’s handed over the Reef to the very people who want to mine it, drill for oil and shove coal loaded ships through the middle of it ! Turnbull has to go now – bottom line. Simple. – save money and time, sack Turnbull, invoke a National Ferderal Committee and remove any Prime Minister where they have broken proper due process. Perhaps a Royal Commission would uncover the $$Billions squandered through both parties and handouts like Turnbull does to his mates and jew-loving network – Turnbull is Australia’s Jew. I would think that, with any independent anti-corruption investigatory body, any improper conduct by and around people elected to parliament, particularly those with senior positions (eg ministers) would take precedence over inquiry into the inner-party machinations that led to their selection for candidacy. Of course the authority of such an ‘independent’ body should be applied to all elected members (be they party or indi), and should include the activities occurring around them, such as the conduct of appointed staffers and hovering lobbyists. Statutes of limitations to their powers? I have no legal qualifications and little deep interest in legislative minutiae, but I would suggest that the parameters of the NSW ICAC would be a decent foundational benchmark for the construction of an effective federal model. As I type this, I do so knowing that the formation of such a body is highly unlikely, since all we currently have is the willful intent of a minority party and the baited hook of an election ‘promise’ (possibly ‘non-core’) made by the current LOTO. Ps, I tend to be a person who measures the liquid in a glass based on the distance from the bottom. My personal reading of Mal’s reef rort is that, Turnbull being a person of some cynical intelligence, he realizes 2 probabilities. 1) The next el nino will more than likely kill off all of the once-great barrier reef bar a few fragmentary vestiges. 2) His own political lifespan is fast approaching it’s use-by date, and, in a post-politics career, grateful friends in high places are very useful to have. Based on this, I believe that the GBRF donation is merely Malcolm packing his parachute with silk pulled from the public purse. This is the story that just keeps giving. As mentioned by Alistair, Anna Marsden is married to Cambell Newman’s former chief of staff, Ben Myers. In 2014, Myers launched an abusive attack directed against integrity commissioner David Solomon after he gave a speech on “nepotism, patronage and the public service”. ” It’s not happening to me, hence my ignorance”. That so unintentionally and quintessentially sums up dreambubble Australia, 2018… collapsed, rofl. First met Ben Myers some years ago soon after the arrival of Bob Quinn as the new Minister for Education. By and large Quinn arrived without a particular agenda and without political baggage in the form of preferred staff appointments, including who he wanted as DG, Private Secretary, Press officer etc.. He was a genuine ‘cleanskin’. Thus many of his appointments came from the Department itself. For myself, I am currently having to re-identify nom-de-plume and e-mail address for each posting. This has been occurring for the past few days, and seems to still be happening. My advice is, as always, to save any lengthy missives before hitting the ‘post comment’ button. Revenue versus spending as the problem. The governments response to big corporations and ultra-rich individuals not paying their dues has been to gut the Taxation department and neuter ASIC, offer tax CUTS to the rich who often don’t pay tax and so run down social security that, on the other hand, thousands and thousands of people at the bottom of the heap are persecuted without recourse to remediation for their situations. Vast amounts of critical government work are outsourced to private orgs, as we seen with arms-length asylum seeker policy, water theft on Murray Darling and pollution of the GBR and of course public broadcasting and education. The money handed out reduces the capacity of government to do its job, but these ideological nutters rate this as THE aim, THE policy of their government. Then comes the ultimate, vicious whammy; the funding of massive resources out of scarce government monies, for the marketing of the Americanisation of Australia while opening MASSIVE opportunities for more rorting and corruption while the very things that made us great are vandalised. Yet, so few people within the wider public seem to grasp what gives. Perhaps it just a few of us that find examples like this latest antic a bit dubious. I think it would be easier just to be at the level of intelligence of many Australians, ignorance must be bliss. Ah come on, all this negativity. The fizza is all over the reef’s problems. Just think of all the shade cloth and underwater fans 444 mill can buy. No doubt about, we are the innovation nation. Keep up the excellent work Kaye. This MUST pertain somewhat to the subject matter discussed here? next generation will not even know the Reef existed! If it’s only been happening for a few days, then that corresponds with the latest WordPress upgrade. A few bug fixes just became available, which I’ve downloaded. Hopefully that will fix it. If not, kindly let me know. Fait accompli. LNP grafter slime. Helvitiny, look on the bright side of it. At least you will know your email and name pretty well by the time it all ends. No, I won’t put up Monty Python’s closing scene.